Please enter the security code shown. "Marc did a great job for a very reasonable price- I would hire him again..."
Your trees and shrubs establish the framework for your property's landscape design. Keeping them vibrant and healthy can help you improve your property's visual appeal and value. At AMS, we provide expert tree care services in South Central WI. We partner with home and business owners like you to establish and maintain healthy, great-looking trees and shrubs. Our dedicated staff is committed to delivering the very highest level of tree care, and we provide you with the information you need to make the best decisions for your landscape. When you’re thinking about your own shrubs, it’s important to remember that shrub pruning lies in knowing how to balance the plant’s physiological needs with the look you’re trying to achieve. Besides creating a beautiful, three-dimensional appearance and promoting denser foliage, hand pruning will allow sunlight to penetrate the plant’s inner structure increasing airflow and encourage new growth. Your trees and shrubs establish the framework for your property's landscape design. Keeping them vibrant and healthy can help you improve your property's visual appeal and value. At AMS, we provide expert tree care services in South Central WI. 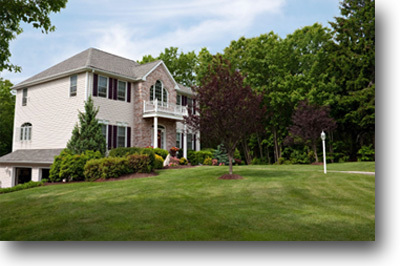 We partner with home and business owners like you to establish and maintain healthy, great-looking trees and shrubs. Our dedicated staff is committed to delivering the very highest level of tree care, and we provide you with information you need to make the best decisions for your landscape.